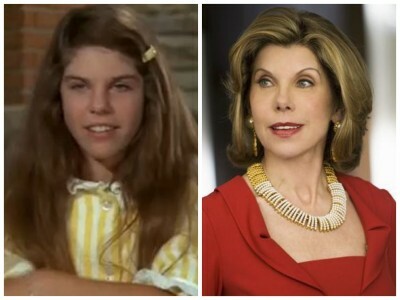 Christine Baranski on The Brady Bunch? If you’re a fan of The Brady Bunch, you may have heard that The Good Wife’s Christine Baranski was on the classic sitcom as a teen actor. According to sites like Mental Floss, Baranski was one of the attendees of Marcia’s slumber party and felt the affects of Peter and Greg’s itching powder gag. The only problem is that it the story isn’t true. Jace Lacob from The Daily Beast recently asked the veteran actress about the rumor and she set the record straight. Where did this bizarre rumor about you appearing as a child actor on The Brady Bunch come from? It’s completely false. I think that someone saw an episode of The Brady Bunch and — I finally did see it — that girl does look a lot like what I might have looked like as a little girl. Somebody may have posted it and said, ‘Hey, this is Christine Baranski.’ But I was never a child actor. I didn’t start acting until I was in high school in Buffalo, N.Y. I did high school plays, some avant-garde theater workshops, and a few things professionally in Buffalo for our theater troupe. But [the Brady Bunch rumor] was a complete falsehood. Do you know how hard it is to get it off Google? I’ve had reporters put it in profiles of me, and I’ll say, ‘You can’t use Google as a source!’ It’s inaccurate. The only way to change it is to make a public statement, which I’m doing now by saying, ‘Nope!’ So now that becomes part of the public record. 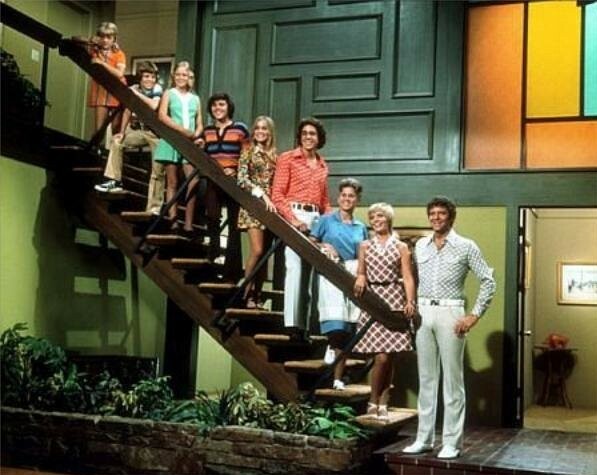 Here’s the video footage that apparently started the Brady Bunch rumor. What do you think? Had you heard this rumor? Does “Paula” look like Baranski? My cousin, Chris, was the actress on The Brady Bunch. She was 13 at the time and I was 11. I nor she is in any way related to Baranski. It is coincidental however that Baranski was from Buffalo. That is where my father and Chris Charney’s mother were born. Chris and I were born and grew up in Los Angeles not Buffalo. This situation is a prime example of how a rumor is started and takes on a life of its own. That’s very cool, Cindy. Quick question – Can you put me in touch wtih Chris…or pass on my contact information to her? I’m working on producing a large-scale 50th anniversary of the Brady Bunch event for 2019, and would love to get as many BB guest stars as possible to attend. Chris’ appearance in The Slumber Caper is, of course, one of the classics for BB fans. You, or she, can contact me at Bradyguy@aol.com. Yep…you’re reading that right….lol. Baranski was born in 1952. The Brady Bunch’s Slumber Caper episode aired in 1970. That means Baranski would have been 18 years old then. Although the little girl looks like one would imagine Branaski would have looked as a child, she is clearly less than 18 years old. Actually, she looks a lot like Eden Sher. Laura, it wasn’t her. It’s funny how you think you know that it was her. If she says it’s not her, it’s not here. Don’t make your own story. Ummm…simply enough…she was an adorable young actress named Chris Charney. Looks like she quit acting in the late 70s. This BB episode (The Slumber Caper” is known by hard-core fans as the “The Nepotism Caper” as the girls at Marcia’s slumber party inlude Florence Henderson’s daughter Barbara, Robert Reed’s daughter Carolyn, and creator/producer Sherwood Schwartz’ daughter Hope Sherwood. Barbara and Hope would appear in several other episodes, Hope most notably as Greg’s sometime girlfriend, Rachel.